Brydie Wright is a first-time Author from Sydney. Four years ago, motherhood turned her life on its head and sparked her imagination. Brydie now finds creativity through writing about the quirks of family life. Through her tongue-in-cheek tales, she writes as much for the parents of little readers as for the little readers themselves. Finalist in the Independent Author Network Book Awards 2017, Brydie's debut picture book will delight pre-school and early primary readers with its honesty and sense of humour. Mums, Dads and grandparents will get a cheeky laugh out of it too. 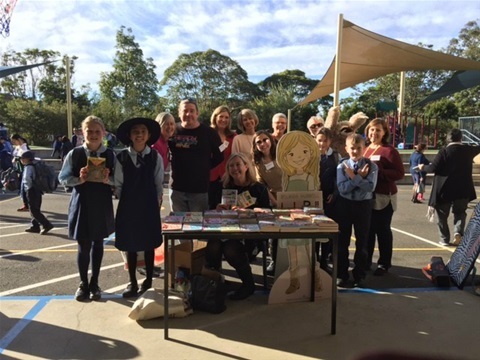 On 8th of August, Brydie Wright was proud to take part in the Children's Book Council of Australia NSW Branch Northern Suburbs Sub-Branch's Author Afternoon Tea in Dee Why. Thank you to Kirsty O'Rourke, Teacher/Librarian, for organising the fab afternoon, with its theme of 'Finding Your Treasure'. Appreciation also goes out to Wendy Fitzgerald, co-President of the Sub-Branch committee, for the photo diary from the day. Loved sharing Daddy and the World's Longest Poo with a highly engaged group of Grade 2s and 4s, who really knew their poetry and rhyme! On 12th of April, Brydie Wright was delighted to take part in a FREE Children's Storytime session at the new Vinnies NSW Brookvale (Sydney). A group of pre-schoolers and their parents and carers joined in some readings of funny kids books and colouring activities. They then stayed on for photos and signings with Brydie, and explored the boutique-style warehouse, that is home to the Northern Beaches' favourite charity shop. It has an excellent collection of pre-loved kids books, toys, clothes and dress-up costumes, at great prices. To find out more about Vinnies NSW Brookvale and its recent make-over, click here for Brydie's Sydney Mums Group article. Ranked in the Top 20 for Feedspot's prestigious 100 Best Children's Blogs, The Blogfish, is Dr Mira Reisberg's #kidlit blog site for the Children's Book Academy. Brydie's latest post for The Blogfish continues her study of all things fun and humour in children's books, spotlighting Dr Seuss, Julia Donaldson, Aaron Blabey and the power of rhyme. Romi Sharp from Just Write for Kids Australia and Books on Tour posted an excellent BOOK REVIEW of The Creative Kids Tales Story Collection. To read her insights, click here. 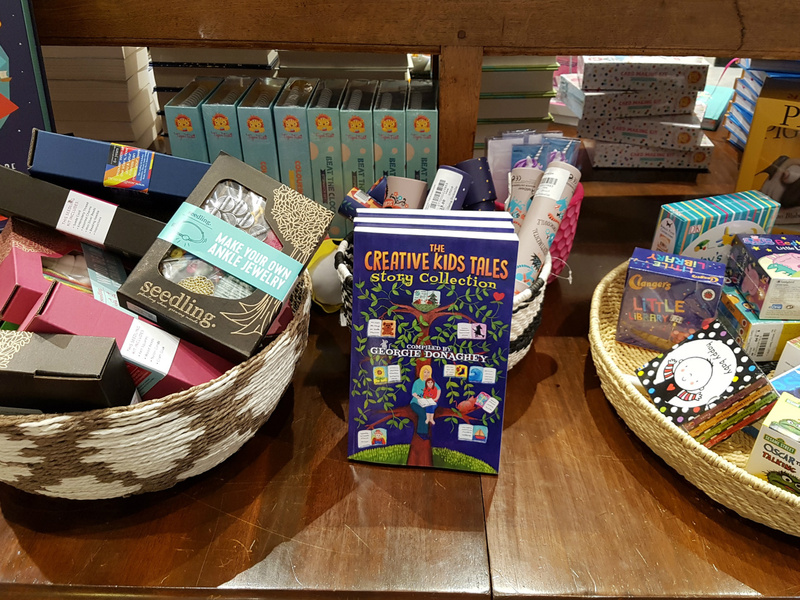 The Creative Kids Tales Story Collection is here! 51 contributions from 40 emerging authors and illustrators. A 287-page illustrated collection of children's fiction (for 8 - 12 yrs) in short story and poetic formats. There's a story to suit every child's taste, including Brydie's Magic Beans, beautifully illustrated by Allison Howard. Brydie was delighted to be amongst the guests at opening afternoon of Lane Cove Theatre Company's latest production. 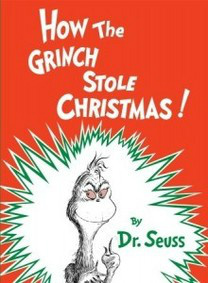 It's based on the classic tales of Dr Seuss. 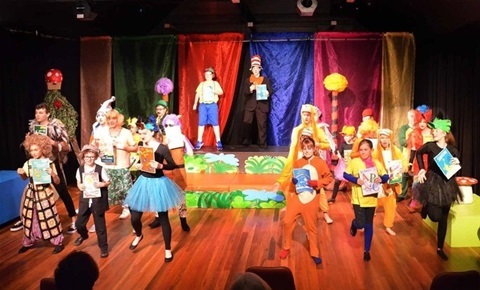 Seussical Jr. is a vibrant musical production for ages up to 10 and kids will love it. Check out Brydie's Editor's Choice Winning Award for WeekendNotes here. Enthralled magazine is a brand new Australian online magazine - a place for authors and writers to share their ideas and journeys. Edited by author Susan Day, the publication is 2 issues young and is FREE to subscribers (though donations are gladly accepted). Brydie was delighted to be asked to contribute to Issue 2 (March 2018) of enthralled and took the opportunity to review her favourite book of the year so far. 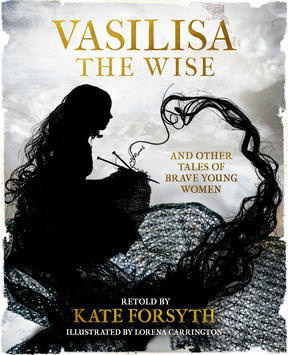 You can read Brydie's review of enthralled's Book of the Month here - Vasilisa the Wise and Other Feminist Fairy Tales (Serenity Press 2017) by Kate Forsyth and Lorena Carrington. AND Brydie's review is quoted, along with comments from Kaz Cooke and Sophie Masson, on the Vasilisa the Wise reviews page. 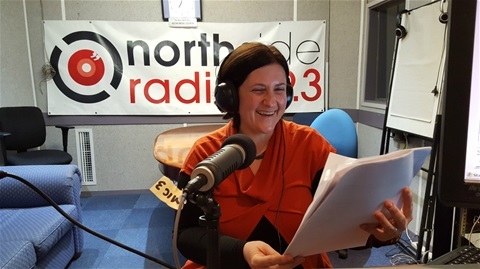 On Fri 4th August from 6-7pm (AEST), Brydie was excited to join Penny Pedersen, host of Penny's Long Way Home show on Northside Radio FM99.3 (Sydney). 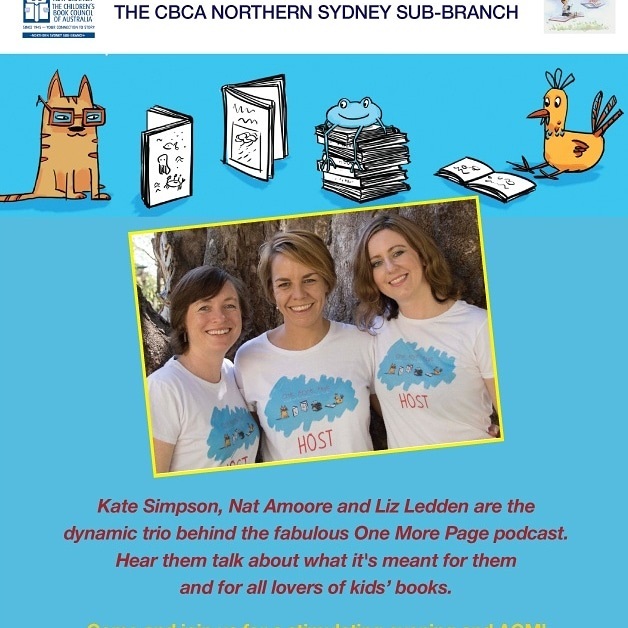 Brydie's role as guest co-host saw her chatting with Penny about her book, her film reviews for WeekendNotes Sydney and her interest in children's theatre. I'm proud to launch my Book Trailer for 2017's most original and funny picture book, Daddy and the World's Longest Poo. It's just in time for Father's Day in the USA and UK. A great gift idea for kids and the 'toilet procrastinators' in their families. Warning: Sense of humour required! Brydie reviews books, lifestyle activities and the arts for The Blogfish, WeekendNotes, Sydney Mum's Group and Enthralled magazine. She has also reviewed books for Creative Kids Tales. 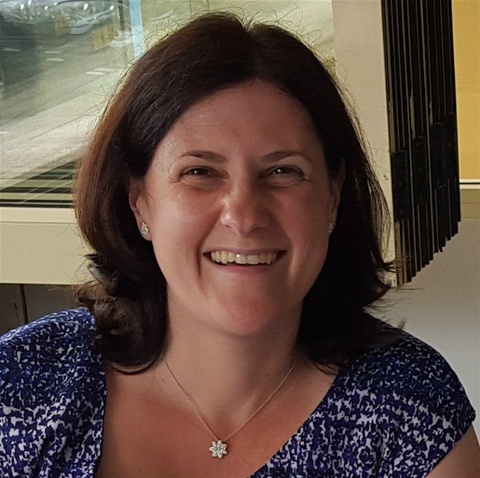 Brydie is an Author member of the Children's Book Council of Australia NSW Branch and Committee Member for the Northern Sydney Sub-Branch (as of March 2018). 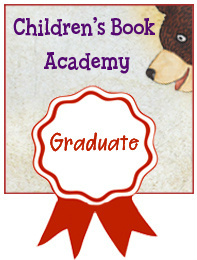 She is also and a proud Yuyi Morales Scholarship graduate of the Children's Book Academy. Sydney Mums Group is a fantastic online space (website and Facebook Page) where mothers from Sydney can share ideas and access news about things that matter to them. Following on from the articles she has posted for SMG this year, Brydie has joined the team as Chief Editor. 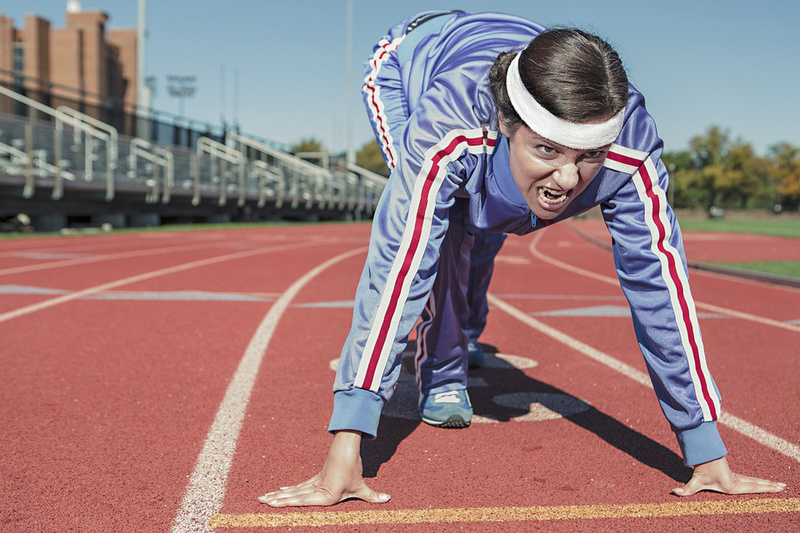 This week, Brydie has poked a bit of fun at Sydney mums (she is one too, so don't worry!). Want to take the quiz - You Know You're A Sydney Mum When... Check out the details here. If you're a Sydney Mum, why not join the conversation in the Facebook Group, subscribe to the newsletter and 'Follow' Brydie's articles on her profile page.